Commercial flooring comes in many materials, but wood is the highest quality due to its beauty, warmth, elegance, durability, and strength. At Sandy Springs Hardwood Flooring, we are experienced in commercial wood floor installation for any setting imaginable. We have installed specialty wood in offices, theaters, hospitals, museums, restaurants, hotels, gymnasiums, and schools, just to name a few. ​ Commercial wood flooring is used when appearance, elegance, warmth, and durability are important for the design and function of the space. Designers utilize wood as a focal element because it is so versatile and can be stained and finished in so many different ways. We can install wood not only on floors but as walls, paneling, ceilings, and seating as well. Our professional commercial flooring contractors look at wood installation as an art form and can carry out any design imaginable. ﻿​ We have installed custom commercial wood floors in a variety of facilities during our years in business. Whether you need an artistic design worked into the wood floor, a regulation basketball court, or a sophisticated system for a dance floor or stage, we can carry out the design to your exact specifications using the highest quality materials and equipment. If you need help designing your vision, we can help you with that also. Let’s set up a consultation to discuss your specialty commercial flooring design ideas and create an attractive and functional environment for your business to thrive. Call Sandy Springs Hardwood Flooring your one-stop shop for hardwood flooring services at (404) 341-7071 . With our specialty commercial wood flooring installation services, you’re not only signing up for quality workmanship and materials but creativity and design as well. Our top-rated hardwood flooring contractors will help you select the appropriate wood types to achieve the look and function you desire while keeping your budget in mind. Gymnasiums: Not only will we install the wood seamlessly, sand it, and finish it to a glossy shine, but we will also paint the athletic stripes and team logos to athletic regulations. 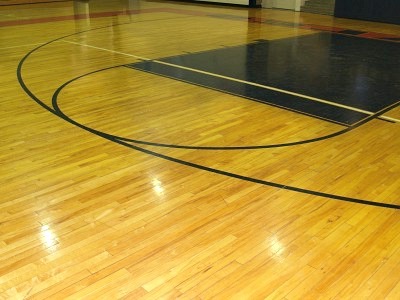 Your gym floor will stand the test of time due to our exceptional craftsmanship and attention to detail. Sound control wood floors: Typically found in apartment buildings and condominiums with multiple floors, our specialty installation creates a sound barrier between the floors to give residents the peace and quiet they desire. 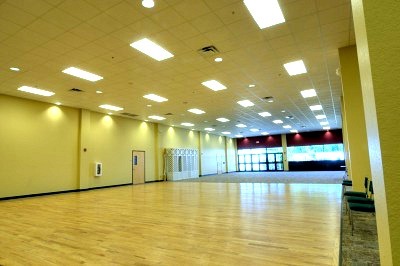 Dance Studios and Stages: Because of the amount of motion involved with dancing and acting on stage, we will install shock absorbing commercial wood flooring systems to help protect the dancers and actors from injury. Patterns and designs: If you want your commercial property to stand out, we can create beautiful and intricate designs in your flooring using several different types of wood cut into shapes and as many different colors of stain necessary to make the design pop out. Our contractors are artists themselves when it comes to flooring and will incorporate their artistic expression into creating your masterpiece. We will help your commercial property stand out from the rest with our specialty commercial wood flooring installation. Give us a call at (404) 341-7071 !